(Weak A) allies himself with (Very Strong X) [AGAINST] – (Moderate Strong B) = Likely Outcome: (Weak A) sleeps securely at night – or so he believes. (Weak A) allies itself with (Very Strong X) [AGAINST] (Very Strong Y) = Likely Outcome: This is not a very secure arrangement because Both (X) and (Y) are very strong, and in the event of war erupting between them, (Weak A) will be regarded as an ally of (X) and will be targeted by (Y) in a devastating attack. (Weak A) allies itself with (Very Strong X) [AGAINST] (Moderate Strong B), who is allied with (Very Strong Y) = Likely Outcome: In the event of a war between (Weak A) and (Moderate Strong B), the two very strong allies will enter the fray and the result, as is in the First Case, may be devastating for (A). Assume, in both the First and the Second Cases, a war erupts directly between (Very Strong X) and (Very Strong Y) = Likely Outcome: By virtue of the alliance, (A) will be dragged into the war, with same dire outcome. 1) The concept of an alliance with the very strong is similar to the concept “Mutual Deterrence”, which kept the peace between the USA and the USSR for decades. It is based on the belief that, “If you try to destroy me with your nuclear bombs, I am capable, with my last breath, to destroy you with my nuclear bombs” – that is Mutual Assured Destruction. Based on the same logic, a weak party allying itself with a strong party, grants it the power of deterrence against its foes, by threatening to return their likely aggression with the overwhelming power of its ally. However, all what is needed for this formula to fail, is the presence of a harebrained, reckless or even imprudent leader to trigger a war that wipes up everything – and history is full of examples. 2) International relations are built on mutual interests. However, these interests change with time and circumstances. That is why they say: “There are no permanent friends or enemies, especially in politics”. Weak (A) may think that he is secure by his alliance with Very Strong (X), until he wakes up one eventful dawn and discovers that (X) has unilaterally downgraded the alliance to: Defending (A) orally and diplomatically, and at the UN meetings. In other words, there are no guarantees. 3) There is a cost for allying oneself to a strong party. It is unrealistic to believe that the strong will offer their expensive power capabilities free of charge. There is a high price tag, be it financial, ideological, political, economic or all of them. Also, this price is not fixed, but liable to change and increase according to circumstances. It could easily rise to become an unbearable burden to the weak party! What happens then? 4) Alliances may sometimes be necessary. They may be useful in the short and medium turn. However, it is difficult to see their mutual benefits persisting into the long term. 5) Some weak parties may consider themselves smart, and try to play both sides by allying themselves to two strong but opposing parties. Such hedging is not likely to be succeed at an individual level, and sooner or later, pressure will be exerted to choose one side or the other. It may work on a collective level though, but needs careful planning and maneuvering. The problem with the weak is that they are always coveted by those stronger than them, and live under a constant threat of annihilation. In this respect, they are very similar to the Deer in the Jungle, many of which end up as a hungry lion’s meal. Since we brought up the subject of jungles, let us see how herbivores elude the sharp teeth of lions and other carnivores, or at least, make it difficult to succumb to them, en-gros or wholesale. Deer and other herbivores gather in very large herds and, when attacked by lions, bolt and disperse in different directions. This confuses and addles the attackers, making them unable to concentrate on one single deer to target. Similarly, small fish gather in very large schools, which once attacked by a shark, flare out in all directions, confusing the shark and minimizing its catch. This is referred to as “Safety in Numbers”. However, it is important to note, that the success of this tactic necessitates that the weak do not become or show signs of aggression or belligerence, as they would then attract the attention of the predator and become targets – The trick is to walk softly… in large groups. More than sixty years ago, the weak nations of the world understood this successful survival technique, and established in 1961 the “Non-Aligned Movement”. Its objective was to avoid any negative impact on them, from the two super powers of the time; the USA and the USSR, who were at loggerheads in a cold war that lasted the better part of the second half of the twentieth century. And, in so doing, they, more-or-less, succeeded in avoiding falling into the pits of either power. The Non-Aligned Movement still exists, although it has become old and wrinkled. It has become very much like a lonely grandmother who is rarely visited by her progeny. While the last annual Non-Aligned meeting was held a few months ago, the one before that was held four years ago, in 2012! 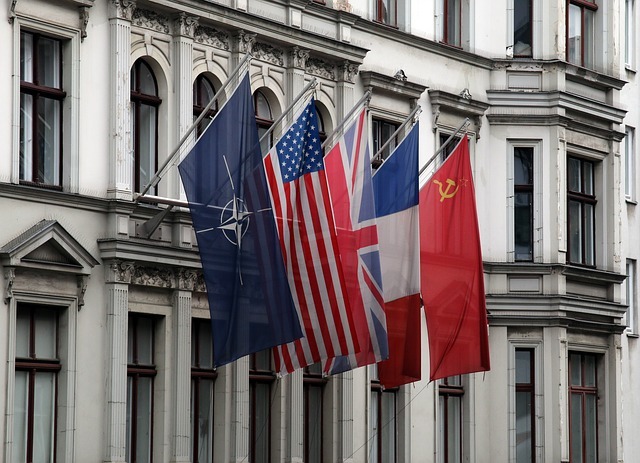 The reason for this cruel estrangement is that the cold war ended when one of the two world powers (the USSR) faded, taking with it the specter of a world war – or so it was thought. Unfortunately, however, it has become a unipolar world with a different set of threats. It is obvious that the Non-Aligned Movement’s members did not foresee that by becoming a unipolar world, the balance of power will destabilize, the concept of Mutual Deterrence will peter out and new dangers will appear. One of the scariest of the new dangers is reflected in the changes occurring in various countries, throughout the past twenty years. Wars, uprisings, coup d’états, and revolutions are redrawing international boundaries and establishing new geopolitical balances and equilibriums. They are happening so fast that our geography books have become total rubbish. Now, may be the time for the “wise” weak to reconsider the Non-Aligned Movement, which sheltered them for half a century – or create a totally new alternative. Dispatched by pins on a general’s plot. Nor a crunching jaw can bend. هناك 196 دولة مستقلة في العالم… منهم أقوياء “وزن ثقيل” حوالي 2 – 5 دول… وثم حوالي 10 دول قوية بدرجات تتراوح بين متوسط إلى الريشة وثم الديك! … أما الغالبية العظمى (بما فيها الدول العربية) يمكن تصنيفها كضعيفة بدرجات متفاوتة. كلام جميل وحان الوقت للإفاقة للتجمع هذا قبل فوات الاوان لان الأعداء كثيره. Previous Previous post: Egyptian Devaluation – For Better or Worse?